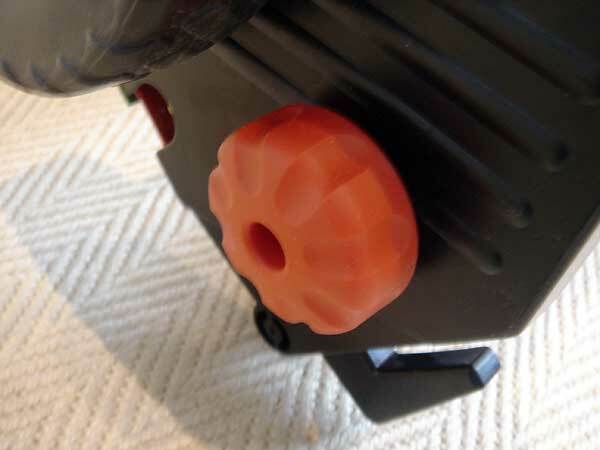 Simply loosen the orange knob on each side, move the height where you want it so that it matches on both sides, and tighten the orange knobs back down. Remember to do this on both sides. 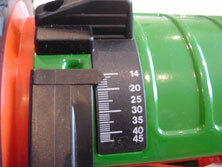 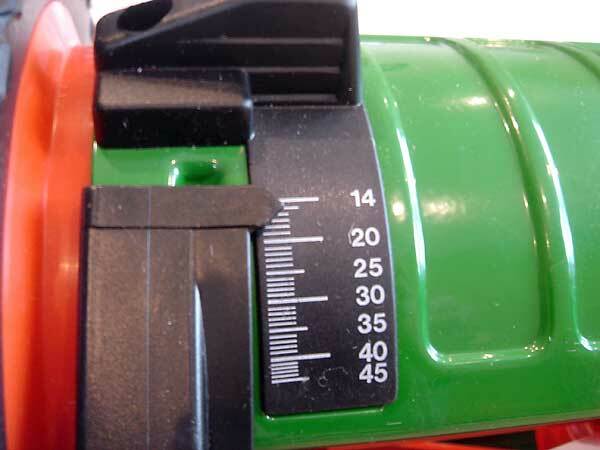 This is a closeup of the gauge which is on both sides of the mower. This is a closeup of the orange knob to adjust cutting height. 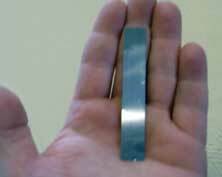 This is the thin metal strip included in your owners manual. You will need this and an adjustable wrench. 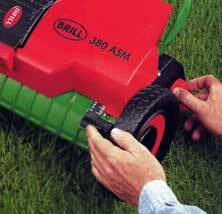 Flip the mower upside down. 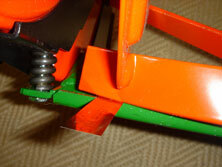 Slide the thin metal gauge on the left side of the mower between a cutter blade and the bottom blade. 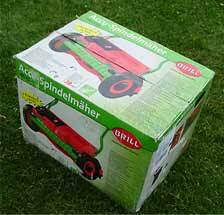 The idea is that the blade and bed should barely touch. 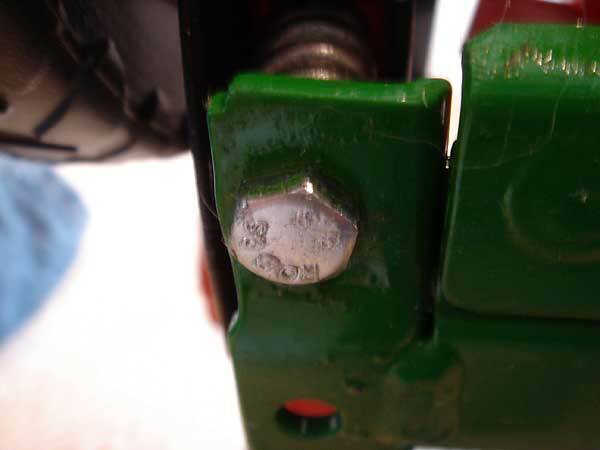 If the blade and bed are not "just barely" touching, you will need to adjust using this bolt with your wrench until the distance is the width of the metal strip.